Can a sticker give you more energy, better skin, and deeper sleep? How cool would it be if up-leveling your energetic state were as easy as putting on a Band-Aid? 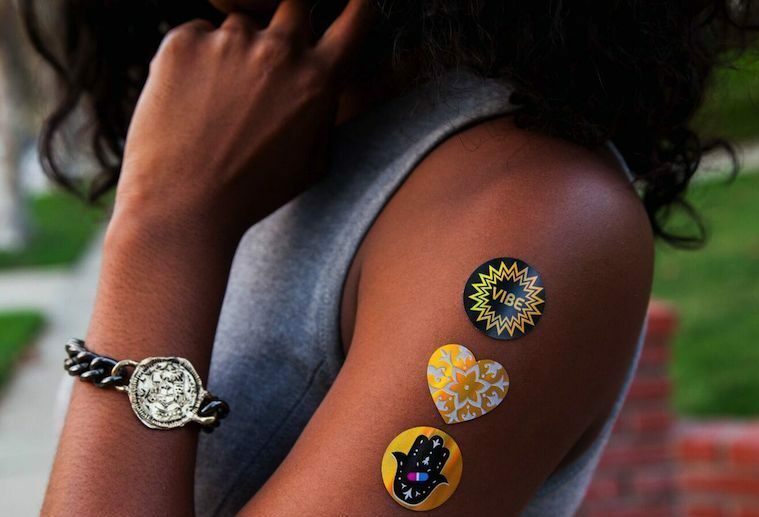 Well, that’s the promise of Body Vibes, a new line of “smart stickers” that’s said to rebalance the body by feeding it specific bio-frequencies—a type of vibrational pattern attuned to the body’s rhythms—all supposedly able to do things like lift mood, reduce stress, or speed up the hangover recovery process. Just place one on your chest or upper arm, claim the brand’s founders, and within about three days (or less), you’ll likely start to feel a subtle, yet positive, shift. Sound sketch? That’s what I thought when the stickers first landed on my desk. 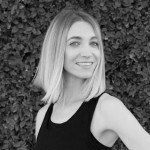 But as it turns out, doctors around the world have been using similar patches on patients for years, and Body Vibes’ early adopters—who include nutritionist Elissa Goodman, Margo & Me blogger Jenny Cipoletti, DJ Sam Black, and model Caroline Vreeland—have credited them with improving their skin, sleep, stress levels, and more. Plus, a growing amount of scientific research is backing up the health benefits of energy healing, which involves tapping into the body’s electromagnetic field—just like Body Vibes are said to do. So, is there any kind of scientific merit to this so-called lifestyle tool? Here’s everything you need to know about bio-frequency stickers. But, for various reasons—like, if you’re sick—it’s believed that certain parts of your body may fall out of a healthy pulsation pattern. And some research shows that by exposing those faulty systems to very targeted types of frequencies, it might be possible to bring them back into balance, specifically when it comes to treating pain, cancer, and even Alzheimer’s. Some research shows that by exposing faulty systems to very targeted types of frequencies, it might be possible to bring them back into balance. “The latest clinical trials have shown that stimulation of the body—particularly acupuncture points—with energy in the form of acupuncture needle twirling, electrical pulses, laser beams, or finger pressure can have beneficial effects for health and healing,” says energy-medicine expert Shin Lin, PhD, a professor of biological sciences, director of the Laboratory for Mind-Body Signaling and Energy Research, and faculty member of the Susan Samueli Center for Integrative Medicine at University of California, Irvine. Of course, these vibration-correcting modalities aren’t exactly portable—and that’s how the idea for the bio-frequency patch was born. With good vibes in mind, Eaton and his crew started creating patches made from a radio-frequency material that he claims NASA once used to line spacesuits. Each patch is said to be programmed, by means of a generator, with bio-frequencies targeting specific energetic deficiencies—there are currently 72 different frequencies available to doctors, including ones designed for allergies, migraines, and hormonal imbalances. But here’s the thing: Although the patches have been around for almost 20 years and are utilized by nearly 1,500 health pros in the US, Europe, and Australia, there haven’t been any peer-reviewed studies that prove they work. Instead, nearly all of the validation to date has been anecdotal. (Eaton claims that the cost and resources needed to conduct this type of research are prohibitive for a small company like his, AlphaBio Centrix.) Without that scientific backing, there’s no way to definitively say whether the product’s truly legit, and Lin is skeptical. “It doesn’t seem that putting on a patch as described could generate enough energy, if at all, for this purpose,” he says. Even so, Unger and Eaton are able to rattle off story after story involving people whose symptoms were relieved after wearing the patches. Two of those were Los Angeles esthetician Leslie Kritzer and her husband, who got them from their naturopath and saw great improvements in their anxiety and rheumatoid arthritis pain, respectively. “I started feeling this was something very important and powerful, and yet I didn’t enjoy wearing them because they looked like hormone patches,” Kritzer says. So she reached out to Eaton and eventually convinced him to let her and business partner Madison De Clercq rebrand and redesign 12 of the frequency stickers for a consumer audience. And thus, Body Vibes was born. “We wanted to create a lifestyle tool for our clients in the skin-care world who are having anxiety or problems focusing or sleeping,” says De Clercq, also an esthetician. The initial set—patches are sold in packs of 10 for $60—includes frequencies for workout endurance, sleep quality, hangover recovery, mood elevation, and skin inflammation. The duo is also collaborating with nutritionist Elissa Goodman on two new patches for detoxification and hydration, which they sell as a special variety pack for $68. In total, I wore the patches for two weeks straight, and I must admit, I did feel a shift. I noticed that I was a lot more productive during my work days, and I wasn’t as distracted as I usually am. I also found myself coming up with lots of exciting ideas for new personal projects and feeling really good about my ability to actually pull them off. I noticed that I was a lot more productive during my work days, and I wasn’t as distracted as I usually am. Of course, this could be for lots of reasons other than the patches—like my hormonal cycle or skimping on sleep in favor of watching Master of None. Lin suspects it’s the placebo effect in action. “It is highly possible that wearers of the patches gain some real benefits, but it’s most likely due to the placebo effect—which isn’t necessarily a bad thing,” he says. Given the lack of significant research around the patches themselves, it’s easy to brush them off as pseudoscience. I certainly did before I tried them. But after hearing so many accounts of positive results while researching this story—and experiencing some noteworthy shifts of my own—I hesitate to dismiss them altogether. If you have an open mind and some money to burn, by all means, give ‘em a shot—just make sure to talk to your doctor about your symptoms, too. I mean, it’s certainly no weirder or more dangerous than surrounding yourself with crystals or microdosing LSD, right? Energy healing of all kinds is totally trending among young, tuned-in women. Here’s why they’re seeking it out in droves, and even studying it at shaman school.